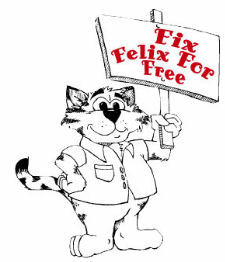 Fix Felix for Free on Valentine's Day Eve! On Wednesday, February 13, 2019, Houston Humane Society will neuter 700 male cats for free at the HHS Animal Wellness Clinic. Cat owners must have an appointment. No residency restrictions. Visit https://www.houstonhumane.org/clinic/fix-felix-for-free for more information.